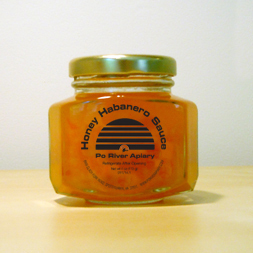 Honey Habanero Sauce is the happy accident that occurs when honeybees love habanero pepper blossoms! 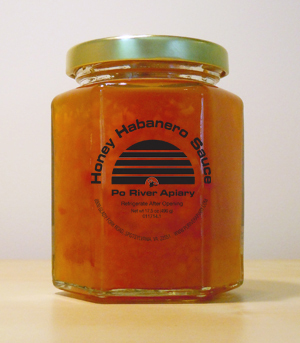 The bumper crop of habanero peppers, a healthy honey harvest, and the desire to blend the two, resulted in this extraordinary sauce. Sweet with a subtle heat, this sauce goes with almost everything! Great on a burger, sandwich, quesadilla, or baked brie. Excellent on grilled fish, shrimp, chicken, or pork. "Out of this World" on vanilla ice cream and cheesecake! Order here or purchase at local retailers listed below. Virginia's Finest highlights top quality Virginia-produced and processed products. Consumers recognize the familiar Virginia's Finest "checkmark" and trust that Virginia's Finest products have been deemed the best of the best. Only Virginia products that meet or exceed quality standards are part of the Virginia's Finest Program. ​Virginia Living Magazine 2013 Made in Virginia Award!